Hello everyone and such a Happy Monday to you all. I’m here today with a new blog series. You all know how much I love to support small and local businesses, so I’m going to be sharing with you all some local businesses that I frequently shop at, require services, eat at.. you get the idea. The first business in this series is Airporter. 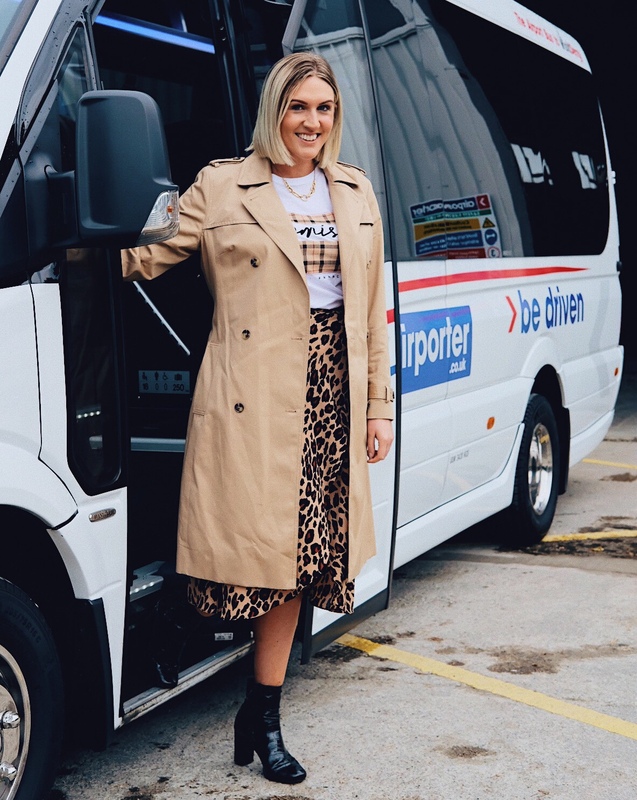 The Airporter is a Derry Run bus company taking travellers to and from Belfast International and Belfast City airports. You have definitely seen me use the Airporter bus previously. When I travelled to London and coming home from Glasgow only recently, this was the only transport I would use getting to and from the airport. I’m almost certain you have also seen Airporter buses on the roads from Derry/Londonderry to Belfast International and Belfast City… There are so many on the roads! So, here are some reasons why I like to use Airporter buses for holidays and weekends away when travelling from Belfast airports. •	You can book online on your laptop or phone or tablet. I am all about efficiency and anything that takes minimal effort. •	The price is great value for money. When I add up car parking at the airport, diesel money and my absolute dread of the Belfast drive, the cost is so much greater. •	The buses run so often! Great selection of times for flights. •	There are mobile phone charger ports on board. I use bus journeys to blog and edit photos on my phone, so I always love to have a charging port just in case my battery gets low. •	You don’t have to torture anyone to come and lift you at the airport!